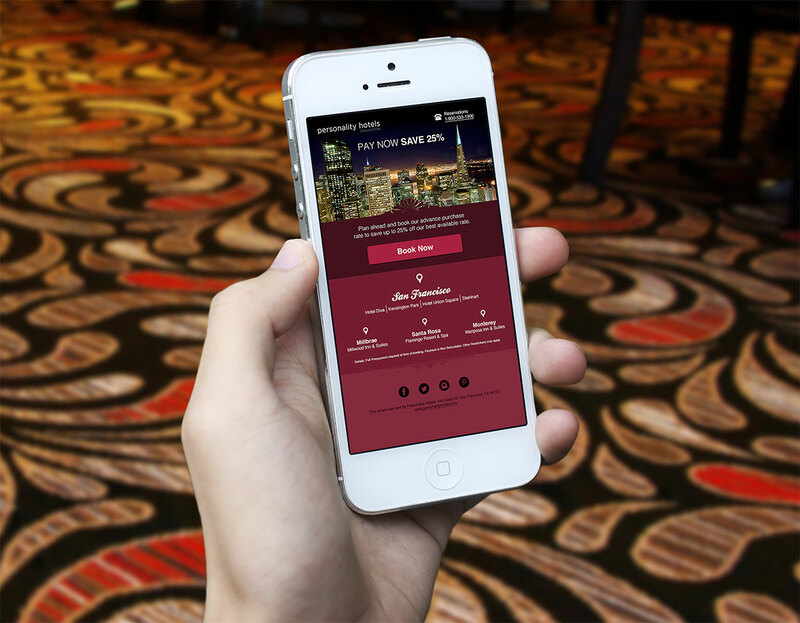 Personality Hotels bridges the gap between residence and hotel. Their focus on style and comfort to delivers a unique personality in each of their hotels. 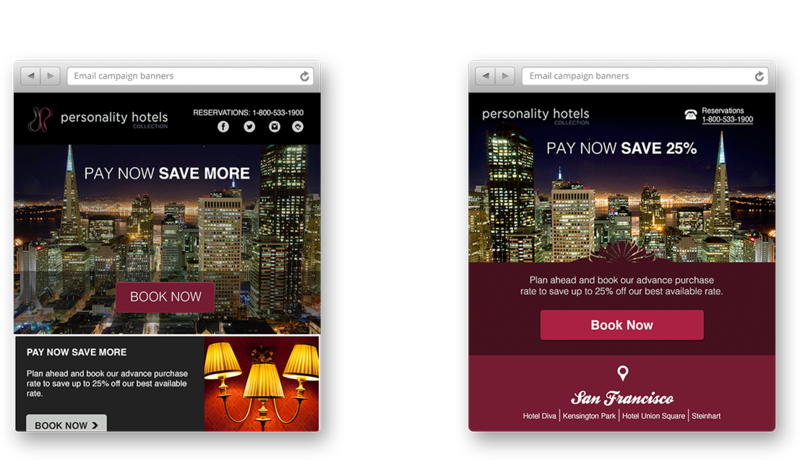 We were asked to help Personality Hotels improve results from their email marketing campaigns. Who is reading the emails? What can be changed, and what must stay the same? What are the right changes? 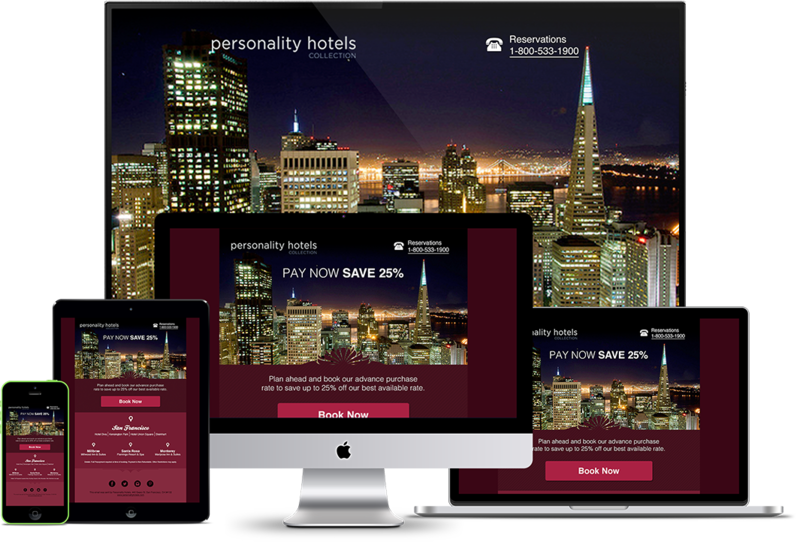 We worked with Personality Hotels to answer all of these questions and deliver a set of beautiful, responsive email templates. We enjoyed working with Megan at Personality Hotels and look forward to helping with their next improvements. The blog, maybe? 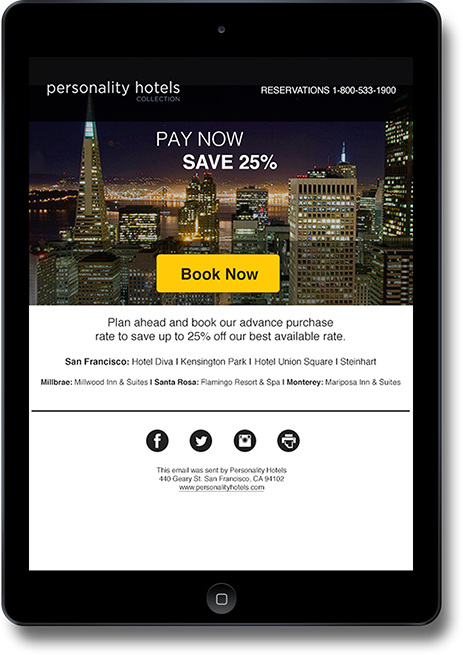 1First Priority Make emails simple, functional, and responsive. 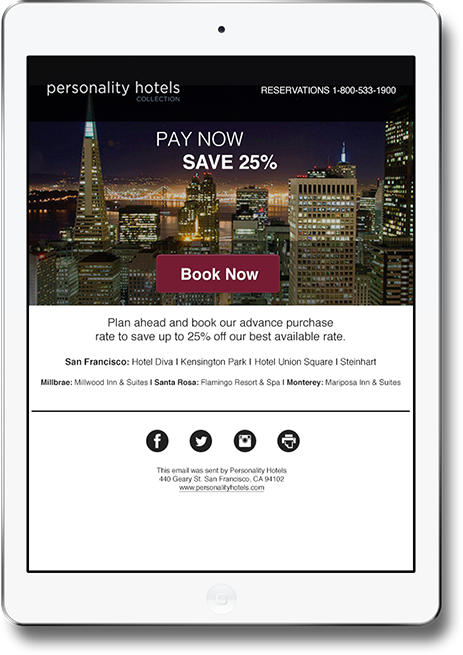 2Second Priority Find ways to make the new email templates more attractive. 3Third Priority Address changes from senior management to ensure each template is perfect.